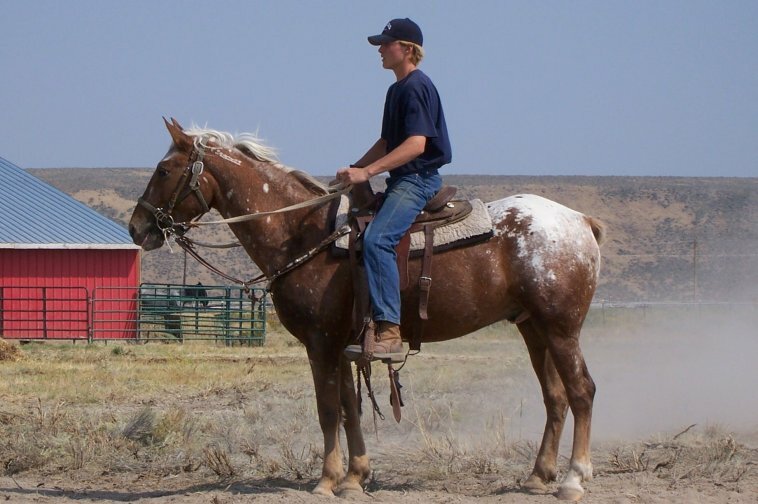 Whinny Farms: Horse Training - Home of the Foundation Education Training Program! 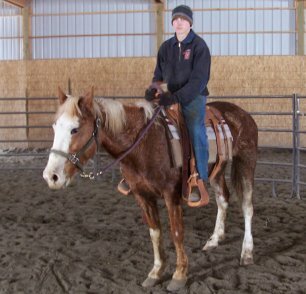 We put a "Foundation Education" on every horse we train! 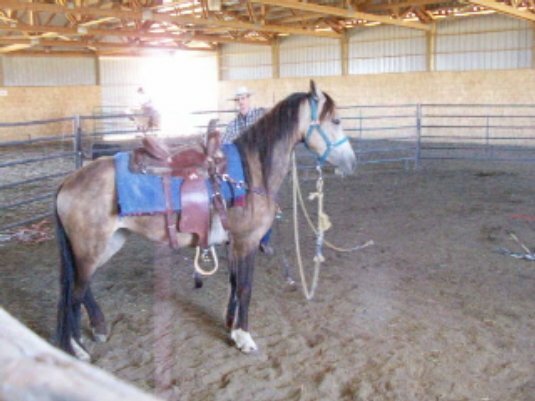 We are a BLM Approved Holding & Training Facility! 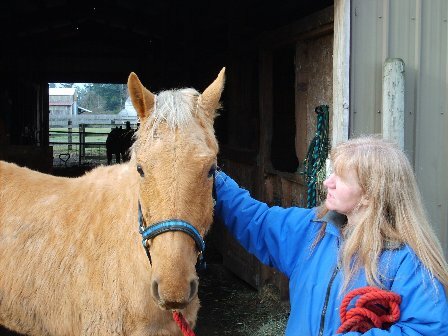 We have been training wild horses for many years, and we have a great appreciation and love for them. Your mustang will be in good hands. We will take good care of them and bring out the very best in them. 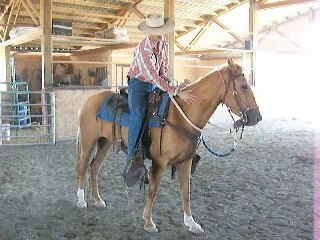 Pick out your favorite horse & bring it to us, and we will halter train and/or saddle train them for you! 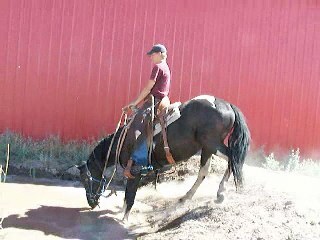 Training Mustangs can be a challenge even to a good trainer. 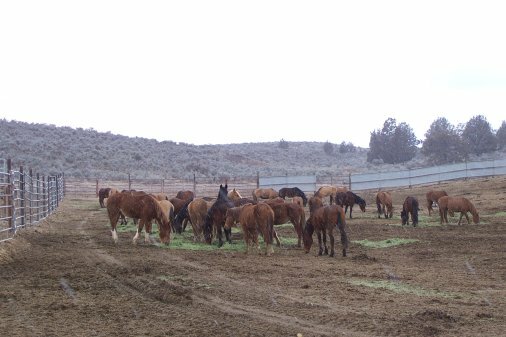 Most horse trainers today are not accustomed to training these feral horses! 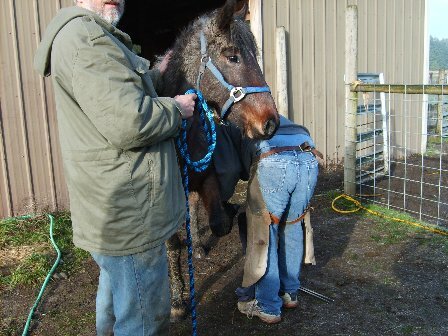 Usually they only accept Mustangs that are already halter broke for their training programs! 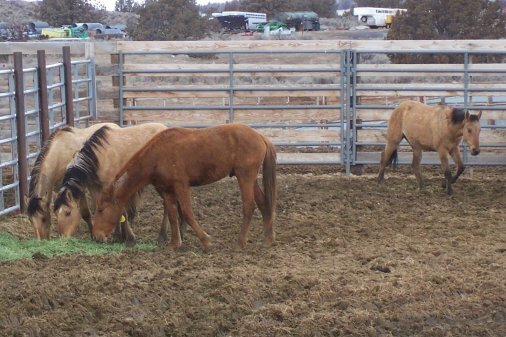 And the trainers that do accept them in for training, may only have experience with "domesticated" wild horses, and their IS a difference! 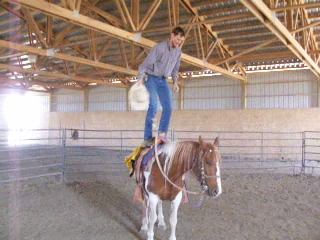 It is very important to train your Mustang in the right manner. If you push them too hard you can cause them alot of confusion and resentment. If you don’t push enough, they will dominate over you and will acquire bad and disrespectful habits towards people. 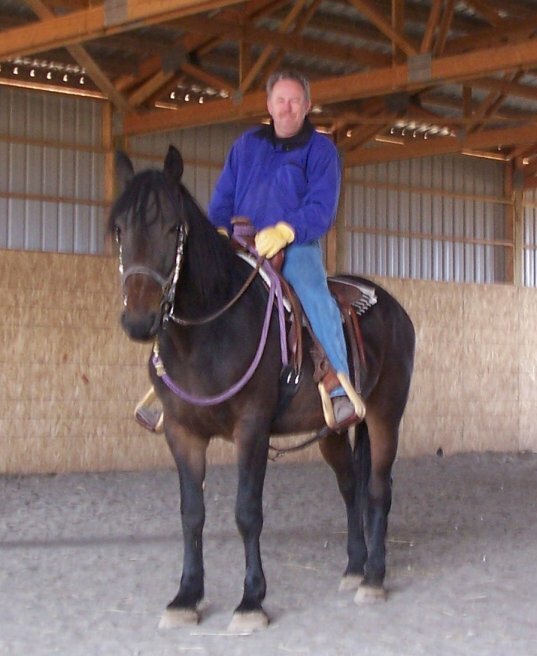 With our many years experience in training "domesticated wild horses" and Wild Mustangs, we can offer your horse a great start! 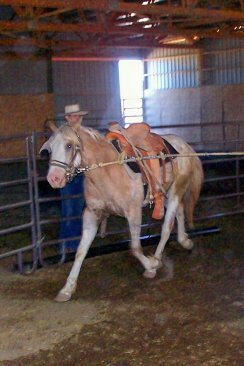 All of our training methods have come from years of experience in "reading" horses, and we'll show you the techniques that have brought out success in your horse, so you can continue it at home! 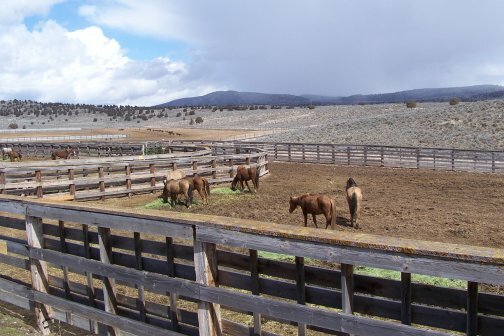 (particularly the Wild Mustangs, and Re-habilitation projects). may have a negative impact on your results with your trained (or re-educated) horse once you are back home without a clue how to get the same positive results we did from your horse! You will be responsible for all fees owed at the end of training at the time of departure. 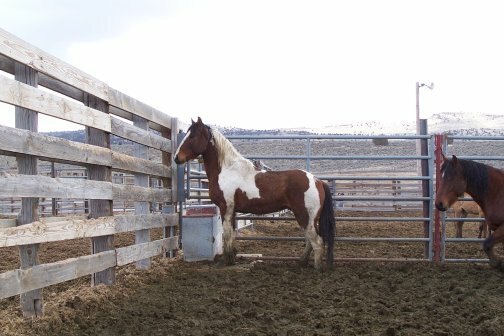 A Mustang is a small feral horse. 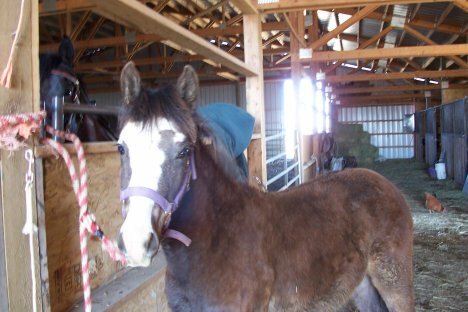 The name Mustang comes from the Spanish word mesteño or monstenco meaning wild or stray. 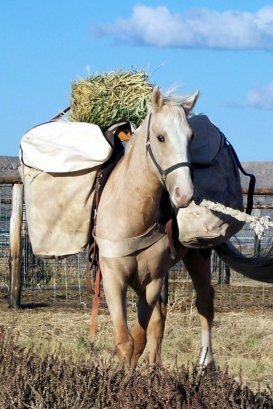 Mustangs of the Western US were originally Spanish horses but over the years they have become a mix of numerous breeds from ranchers and others releasing horse out to the wild. 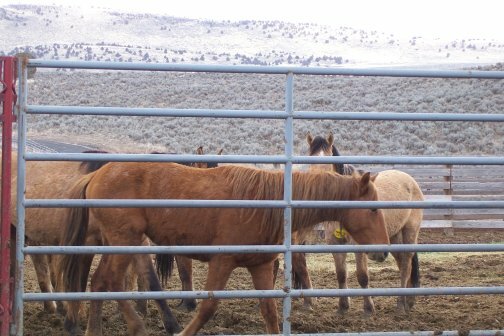 The Bureau of Land Management (BLM) controls the mustang population through a capture program. 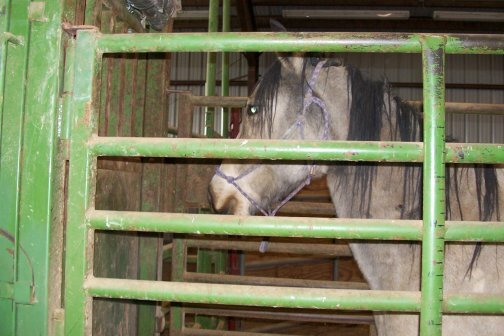 Most horses that are captured are offered for "adoption" to individuals willing to pay a small fee. 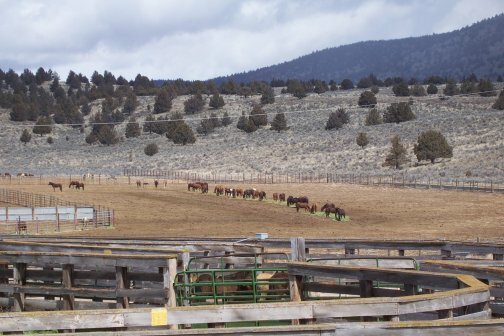 They are herded into a trap by a helicopter with help of another trained horse to lead them into the trap, loaded into a trailer and shipped to the holding corrals where they are separated weaned, then brought through the barn to be health checked, branded, tagged, and gelded. Then they are ready to be adopted out. They also get shipped to other holding facilities around the United States so anyone can get a chance to adopt them. Mustangs are a prey animal and rely largely on there "Fight or Flight" instincts. Their first response to pressure (our presence) is either Fight (self defense), or to Flee (over or through any obstacle). They will use their defenses such as charging, biting, striking, kicking, and running to protect themselves and others from predators. 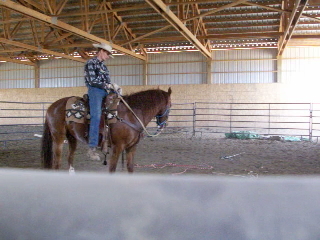 They are creatures of habit and have excellent memories, which makes consistent training extremely important to them. Mustangs do not like to be separated from their herd. Alone, they would be exposed to predators from all sides, and would have a tough time fighting them off. 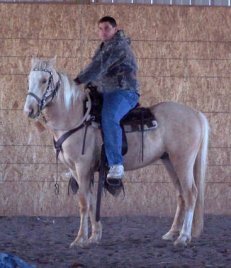 The less dominant horses tend to gravitate toward the most mature and confident members for their protection. Included in the herd ranks are the leaders, protectors and followers (a pecking order). 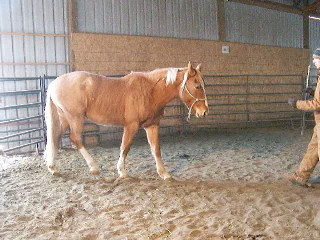 The lead mare is considered the “Boss Mare”. She leads the herd from place to place, controls and moderates aggressive behavior within the herd. The Stallion is the ruler of his "harem" of mares. He must fight off both predators and other males who attempt to establish dominance over them. They are curious animals and may investigate any creature that is interesting but not threatening. You can see this in visiting a herd in the wild and/or holding corral. The curious ones will come up close enough where they feel safe to view and investigate you and what you are doing. Mustangs have many dispositions form good to very bad. Some are gentle, smart, willing to learn, and others are very defensive, aggressive, slow thinking. We encourage you to come and see your horse while in training for a personal Demonstration of their behaviours (good or bad), so you can better learn how to handle your horse safely. If you would like to schedule a visit, just email and we'll set up a time! Thanks for visitng our Mustangs page! Questions? Please feel free to Email.